Are you looking for a system that will help you "after" you've made the 1st, 2nd and 3rd contact? Have you grown tired of selling and selling and selling and want to do a better job of staying in touch with your leads and prospects so they remember you when they're ready to buy the product or service you sell? Hello, my name is Danny Smith and I've experienced exactly what you're experiencing. I got tired of feeling like I just needed to keep on selling and that would bring the business. Yet, what about all the people I was meeting, weren't they going to need what I was selling in the future? - the people I meet today and tomorrow can be my clients next month, next year....I just needed to KNOW how to stay engaged. Much of what I've learned has been put together in the Stop-Wasting-Handshakes 3.0 Boot Camp. And, This is the LAST time this will be offered in 2015.
simply email me and I'll refund your money. If your business is dependent upon you meeting people and you struggle with your long-term follow-through....and you want better results, this program will give you the processes, strategies and tactics to start changing. And, if you'll engage in the weekly mentorship lessons, you'll see those changes happen during these 12 weeks. There's an interesting part of the 80/20 rule that most sales people just can't past; 80% of sales happen AFTER the 8th touch and yet, only 20% of sales people follow-up (or through) more than 2 times. This program gives you what you need to follow-THROUGH not just 8 times, but ON-GOING. And without spamming, without invading, but ENGAGING. This program will teach you a new PERCEPTION. Don't be one of the 80% that only follow-up TWICE. Be one of 20% that follows-through 8 times. Better yet, learn how to just plain stay engaged with people so that when they are ready to buy, they remember you and you have a chance to sell to them. This program will change the way you look at marketing and selling and until the way you change the way you look at marketing and selling your marketing and selling will not change. I love to help you. 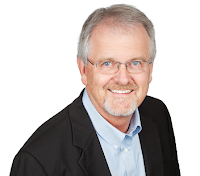 Danny Smith helps business men and women build themselves out in front of their business with methodical and intense processes and discussions. A 30 year mortgage lender and 40 year entrepreneur, Danny has built and managed high producing sales and marketing teams. Successes include turning a struggling 12 million dollar per year mortgage company into 8 million per month within 18 months and a start-up that produced 800 million its 7th year. A certified coach with the John Maxwell Team and Guerrilla Marketing, Danny trains, coaches and mentors individuals and companies. These certifications combined with having participated in over 3,000 talent/temperament assessments, offers a unique perspective in human behavior and the marketplace. Danny's primary blog has over 600 posts and has received over 100,000 hits. Business relationships can be tough to establish and at the end-of-the-day, the measure of that relationship can only be determined if something has shifted in a positive nature. His sales and marketing programs turns struggling sales people into methodical and satisfied producers. If not, we’re only entertainers. Danny brings applicable tips, processes and strategies to every setting; values that matter. Danny's Stop Wasting Handshake mentorship program is designed to engage participants in methodical and intense discussions that lead them through long term new results.